Leander Paes and Andre Begemann lost 4-6, 2-6 to Elgin and Istomin at the Olympic Tennis School here. 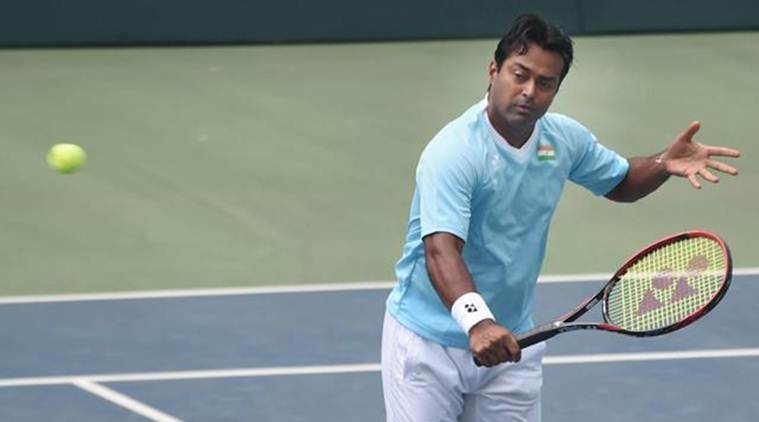 India’s Leander Paes and his German partner Andre Begemann went down fighting against local hero Denis Istomin and Mikhail Elgin of Russia in the doubles finals of the ninth edition of the USD 125000 Tashkent ATP Challenger in Uzbekistan on Friday. The third seeded Indo-German pair lost 4-6, 2-6 to Elgin and Istomin at the Olympic Tennis School in Tashkent. The winners of the event will get 125 ATP points and USD 7750 while the runners up got USD 4500 and 75 points. Paes had won Biella event with Begemann and the Busan tournament with Sam Groth early in the season. The veteran Indian is yet to win a title, an ATP World Tour this season. This is his third runners-up finishes after Winston-Salem and St Petersburg.